Well the folks from Light and Motion have decided to take the technology they refined developing video lighting into the smallest, lightest and powerful package yet that can cover us no matter what our application. 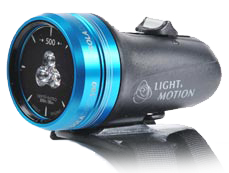 The Sola series lights come in three different models: the Dive, Photo and Video. Within each of these groups the Sola comes in two or three versions offering all of the options you might need for the task they’re optimized for. Sound confusing? Don’t worry we’ll dive into the details. As you can guess from their names, each of the three models is tailored to meet specific needs while retaining key features for any dive. Best of all these lights weight next to nothing when compared to traditional main or even some secondary dive lights. Each of the 500, 600 and 1200 series lights weight just over ½ pound! Each light regardless of the specific model all share the same form factor. At 2.25” wide by 4” long these lights are a bit smaller than the average computer mouse. As mentioned previously they’re light as well. All three models come in around .6 pounds. This includes the sealed lithium batteries. When comparing this to a smaller main dive light (wide beam, 4 C cells), the Sola comes in at nearly the same weight as just one set of the batteries. Add in the rest of the light and conservatively an additional set of replacement batteries and the Sola removes 2/3rd or more of the weight of your old dive light. Given the increasingly tight luggage weight restrictions this is big! As for what drives the Sola, these lights use a set of rechargeable Lithium Ion batteries which are sealed within the unit. Light and Motion expects these batteries to support as least 500 charging cycles. As for controls, a magnetic coupled tap switch instantly flips between modes (spot/flood or white/red) or increments power levels. Magnetic switches are a fantastic feature as they require no opening in the case of the light to work, eliminating the possibility of an o-ring failure. Three LED indicator lights behind the bezel report the power and battery charge status. With the rechargeable batteries sealed inside the unit and magnetic controls you can forget about accidentally flooding your light. While some options will vary between each model and version of the Sola series, the number in the name of each unit reveals another exciting consistency between the units, power. This number represents the maximum number of lumens of light a particular version is capable of producing. All versions allow the user to select between three different power levels (details below) to allow you to balance how much light you’re putting out with how long you need in terms of burn time. Now that we’ve covered what makes all these lights great lets jump into what makes each one specialized for the task at hand. 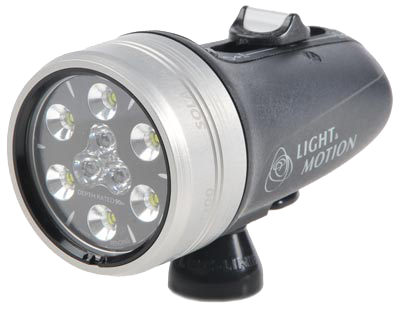 As its name implies this version of the Sola series is aimed as at being a diver’s primary dive light. The light comes in three different models the Sola 500D, 600D and 1200D as discussed about each progressively more powerful. The Dive series light comes with a mounting system designed to be worn on the top of the divers hand with two Velcro straps securing the light with one around the diver’s wrist and the other around the palm. This mounting system allows the diver full use of both hands as well as the light. No more lanyards and dangling lights with the Sola. The Sola 500D offers you a spot beam pattern with the 600D and 1200D models offering both a spot or flood beam pattern. 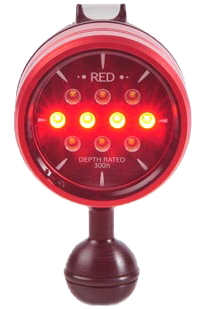 Divers can switch between spot and flood beams by simply toggling modes using the magnetic selector switch. The Photo series of Sola lights offers two features specific to photographers. To start both the 500P and 600P versions of the light come in a flood only pattern. Flood pattern lights are preferred by photographers as the wide beam allows the camera to focus without needing to adjust the aiming point of the light. The Sola 600P while also having the same white LED light produced by the 500P, adds the ability to toggle between white and a cluster of red LEDs. So why red? Just as humans have a more difficult time viewing light at the violet end of the spectrum, fish struggle to see red light. This allows us to better avoid scaring off the subject when getting into position for the shot. While the fish struggle to see the red light, our cameras have no problem picking up this wave length. 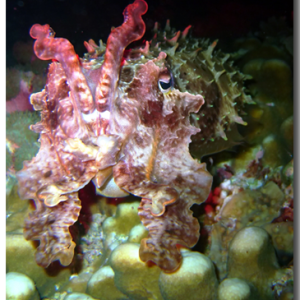 The red light allows us and our camera’s autofocus system to see the subject. When we take the shot, the strobes produce enough white light to cancel out the red capturing a perfect picture. The Photo series come with a ball mount allowing them to connect into various camera arm systems. Last but certainly not least we come to the video series. High output LED video lighting from Light and Motion isn’t anything new in fact some might call it old hat. For years Light and Motion has developed Halogen, HID and LED lighting systems. These systems relied for power on a large battery pod that locked into the bottom of their housing systems. Adding one of these dual light systems added approximately 7 pounds to the housing to get you about 40 to 60 minutes of light. Aside from a large amount of added weight these systems also created a challenge at time with the loop of wire delivering power from the battery packs. The Sola Video series have addressed these challenges. The Sola 1200V is very similar to the Sola 1200D providing the user with both spot and flood modes with a maximum light production of 1200 lumens. Where they differ is in the mounting. The Sola 1200V comes with a Loc-Line flexible arm mounting. Commonly used in pairs, 2400 lumens of light will brighten even the widest angle shot. Finally there is another Sola video light to make mention of, the Sola 4000. That’s right 4000 lumens of light in a single unit. Similar to the 500, 600, and 1200 series lights, the 4000 is larger and weights nearly 3 times as much. However if you need even more light it’s got you covered. Stop to check out these incredible lights and lighten your load prior to you next trip! MK25/A700 Black Tech is here! 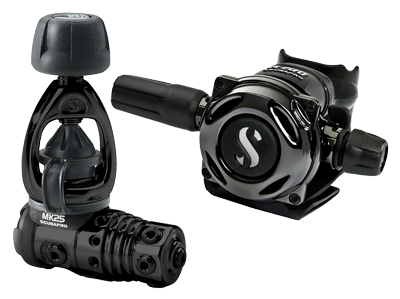 SCUBAPRO has brought innovation to the A700 regulator. Now available in a Black Tech version, this regulator is not only beautiful and high performing, but incorporates a PVD (Physical Vapour Deposition) finishing process which, when applied on metal surfaces, increases ruggedness, scratch resistance and surface hardness. PVD coatings can also be found on critical military equipment, premium watches and tools. This finish is accomplished using Titanium Nitride. With an extremely punctual and consistent high delivery of air and ultra stable intermediate pressure, this balanced piston first stage regulator is an absolute top performer. In 2003 SCUBAPRO achieved a new world record with 100 divers breathing simultaneously from one MK25 and they all received continuous and sufficient air. Experience the extraordinary unfailing performance of MK25! Air balanced flow-through piston – First stages with air balanced pistons deliver significantly more air to the second stage than any other first stage, while their performance is totally unaffected by the changing tank pressure. A balanced piston allows the use of lighter and more sensitive components, resulting in ultra fast breathing response, instant delivery of air on demand, and extra high air flow, especially in low tank pressure ranges. The tired diver benefits from a smoother breathing regulator during the ascent or deco stop. Balanced piston first stages are the first choice of demanding sport divers and professionals. A balanced piston performs equally in warm and cold water environments. Two opposite high pressure ports – The arrangement of high and low pressure hoses is crucial to diving comfort. Two opposite high pressure ports allow for an individual positioning of the first stage (pointing up or down). This allows the diver to position the gauges either on the right or left side and increases the freedom of movement for head and neck. Multiple low pressure ports – For ultimate freedom in the arrangement of low pressure hoses, the MK25accommodates five HF (high flow) ports on a swiveling turret, which allows for 360 degree swivel of hoses. TheMK17 and MK11 feature four stationary low pressure ports, two of them HF. High flow ports deliver about 15% more air than conventional ports. Externally adjustable intermediate pressure – Allows authorized SCUBAPRO service technicians to quickly fine tune or make adjustments after maintenance without the need to disassemble the first stage. DIN/INT first stage configurations – To ensure worldwide compatibility, all SCUBAPRO regulator systems are available in a 200bar INT version as well as 300bar DIN versions. faloia https://www.recdiving.com/wp-content/uploads/2017/09/RecDiving_logo.jpg faloia2011-02-17 21:08:032011-02-17 21:08:03MK25/A700 Black Tech is here! This place is definitely living up to it’s reputation. It is the healthiest, most colorful reef we’ve been diving on. The endless hard and soft coral makes for a landscape that is just beautiful. Combine that with the countless anthias, wrasse, angelfish, and 42 species of butterflyfish and it is truly a mind-blowing burst of color on every dive. The crazy critters have been out to greet us too. 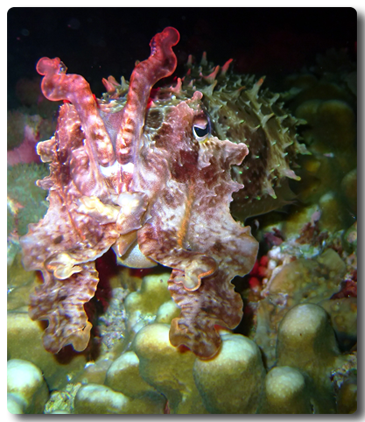 Our two Rec Diving boats have had encounters with cuttle fish, two spot lion fish, blue ribbon eels, crocodile fish, spearing mantis shrimp, peppered moray eels, hairy squat lobsters, robust ghost pipe fish and the tiny pygmy seahorses. Between dives, we relax on the gorgeous beachfront resort comprised of thatched huts and open air common areas. We left our shoes at the door of our bungalow and they’ve remained there all week. Wakatobi is on the “be back” list for sure. Stay tuned for more updates as well as more pictures and video from this amazing trip!